Please, reload this page and try again. 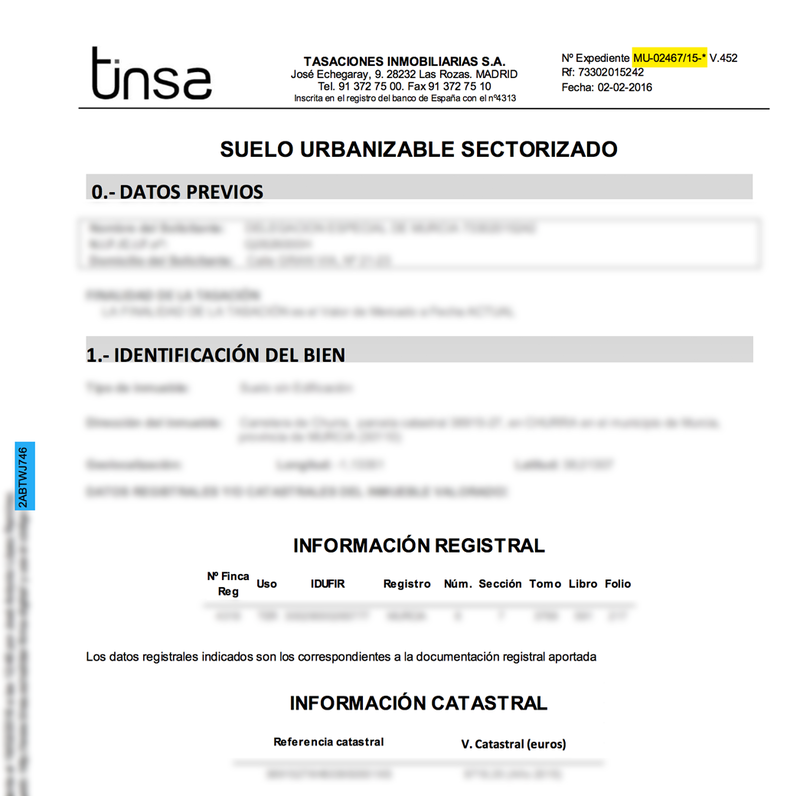 If the error persists, please contact us atcanalonline@tinsa.com. If you decide to discard the offer, it will be closed and you will not be able to benefit from the discounts applied and other advantages associated with the offer. The selected offer is currently in your shopping cart. To discard the offer go to the Checkout and remove it from your cart. No revision of this file has been found. We have found a review of this file, so we have updated the information of My House to the most recent available. Please, reload this page to see the updated data. The new evolution information may take a few minutes to appear, while we perform the appropriate calculations. Thank you very much for starting to use the service: "My house". To activate the service you just have to complete this simple survey and click on the "Send answers" button. The system will analyze your house in a few seconds you can enjoy all the information. ¿En qué fecha compró su vivienda? How long did it take to find her? We remind you that Tinsa is offering this service in a FREE way to its customers . We would like to inform you that this is a service valued at € 32 per year. ¿Algún error o mejora que quieras trasladarnos? Déjanos tus datos y el equipo de Mi Casa analizará tu solicitud.